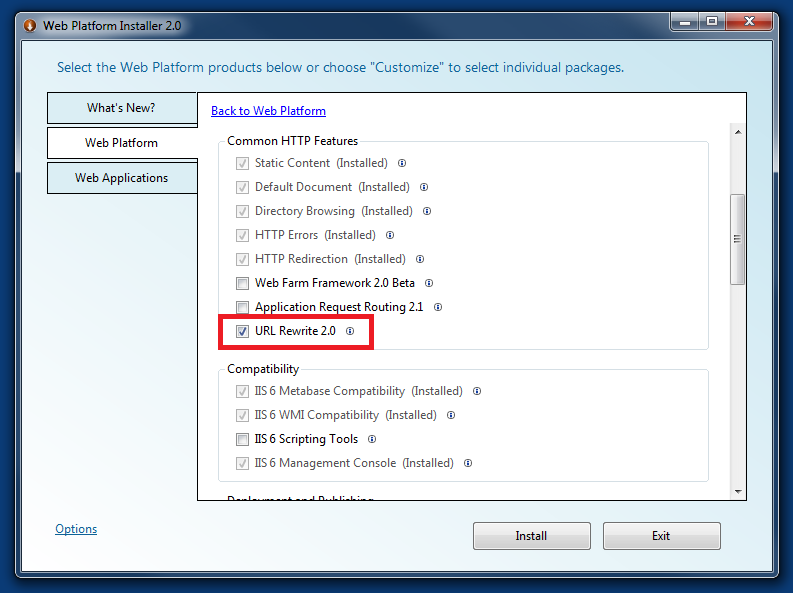 Steve Marx’s article on how to run IIS Hostable Web Core is Azure is a great starting point for simple hosting in an worker role. However, I struggled to get this working locally and kept getting ‘module not found errors’. A quick look in the event log and it turns out that HWC couldn’t load the URLRewrite module (%windir%\system32\inetsrv\rewrite.dll). It turns out that this module is not installed on 32bit Windows7 by default. You have two options, either you can comment it our of the applicationHost.config file or better still, install it using the Web Platfrom Installer. It is installed in the Azure VM by default.